President Donald Trump has issued an ominous warning about the Justice Department and the FBI, promising further firings to get rid of a “lingering stench” following reports that Deputy Attorney General Rod Rosenstein discussed secretly recording the president. Trump, speaking at a rally in Missouri Friday, did not explicitly mention the Rosenstein furor, which was first reported by The New York Times and confirmed by The Associated Press. 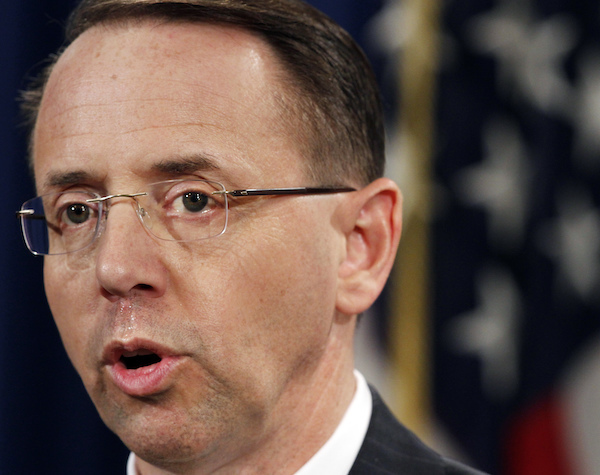 The reports about Rosenstein created even greater uncertainty for the deputy attorney general’s tenure at a time when Trump has lambasted Justice Department leadership and publicly humiliated both Rosenstein and Attorney General Jeff Sessions. Republicans view the McCaskill-Hawley contest as one of their best chances of flipping a seat in the Senate, where the GOP has a slim 51-49 majority, and polls show it’s a toss-up. Democrats are hoping the enthusiasm that’s put the GOP-led House in play will spill over to the Senate, though the map there is much tougher. McCaskill is among 10 Democratic incumbents seeking re-election in states Trump won — some by wider margins than Missouri.